We Ship Anywhere In The USA! No One Can Beat Our Prices! 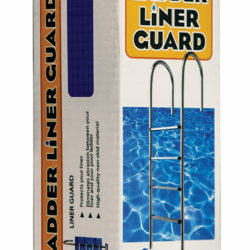 This top quality ladder makes exiting and entering your pool easier that ever before. Super strong stainless steel rails allow the ladder to easily accommodate 225lbs. This model have polymer non-skid steps. The ladder is designed to fit up to 54" deep pools. The base of the ladder pivots to conform to sloping bottoms for super safe contact. All stainless steel hardware is included. 1-Year Warranty. Sign up for our newsletter to receive news, access to special deals, and more. Copyright © 2018 Swimming Pool Discounters. All Rights Reserved. Website Design by Higher Images. This website claims no credit for any images posted on this site unless otherwise noted. Images on this website are copyright to its respectful owners. If there is an images appearing on this website that belongs to you and do not wish for it to appear of this site, please e-mail with a link to said image and it will be promptly removed.